It’s been an amazing summer packed with terrible songs and crooked sing-alongs. 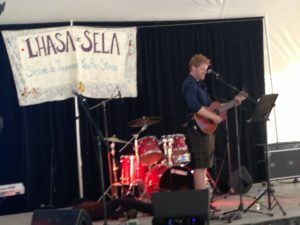 The Montreal Folk Fest on the Canal hosted Songs for Terrible Children on the Lhasa de Sela stage, named after the hugely talented vocalist who left us far too young. It was hot, sweaty, and ultra fun, featuring the first ever performance of the “I Can’t Stand Sing-Alongs” sing-along song. I planted a controversial flag by wearing shorts on stage for this one. Survival over style, I say. 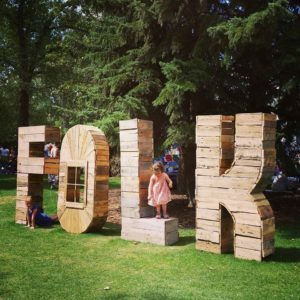 Playing the Calgary Folk Fest was a dream come true, and the lineup was, as usual, outstanding. 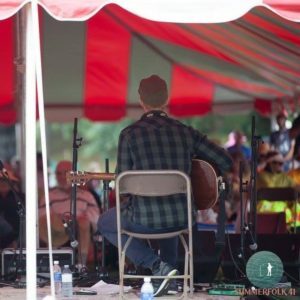 Eventually I’m going to start having some back luck with festival weather, but this was another gorgeous weekend with great audience participation. 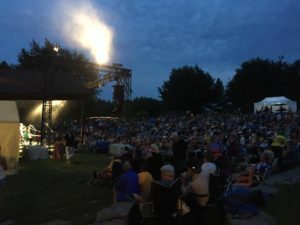 Next was Summerfolk in Owen Sound, ON. The amphitheatre venue right on Georgian Bay is something to behold. Finally got to see Bruce Cockburn live! 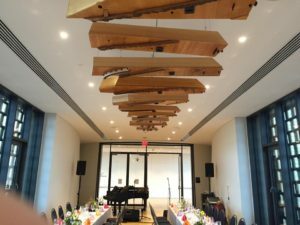 More recently, I had the opportunity to perform at this stunning Skybridge venue at the new National Music Centre in Calgary. The whole facility is outstanding–a total amusement park for those with any love for the audio arts. 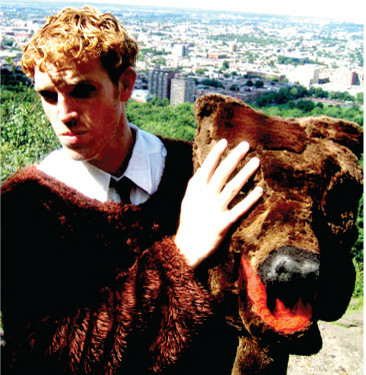 Lots more activity brewing in the fall, including some exciting collaborations and shows to be posted soon. Previous Post: SFTC Review in Gig City!